Like to save the best for last? Here’s good news: If it’s the last, you’ll like it the best. That is the finding of a new study published in Psychological Science, a journal of the Association for Psychological Science. “Endings affect us in lots of ways, and one is this ‘positivity effect,’” says University of Michigan psychologist Ed O’Brien, who conducted the study with colleague Phoebe C. Ellsworth. Graduation from college, the last kiss before going off to war: we experience these “lasts” with deep pleasure and affection—in fact, more than we may have felt about those places or people the day before. Even long painful experiences that end pleasantly are rated more highly than short ones ending painfully. The study involved 52 students, women and men, who were told they were participating in a taste test of Hershey’s Kisses made with local ingredients. The experimenters drew five chocolates—milk, dark, crème, caramel, and almond—in random order from a hidden pocket inside a bag. The participants didn’t know how many there would be. After tasting each, they rated how enjoyable it was from 0 to 10. Some participants were told each time: “Here is the next one.” The others got the same lead-in until the fifth chocolate, before which the experimenter said, “This is the last one.” After tasting all the chocolates, the participants indicated which they liked best and how enjoyable the tasting was overall. The results: The fifth chocolate was rated as more enjoyable when it was the “last” chocolate versus just another in the taste test. The designated “last” chocolate was also the favorite 64% of the time, no matter which flavor it was. 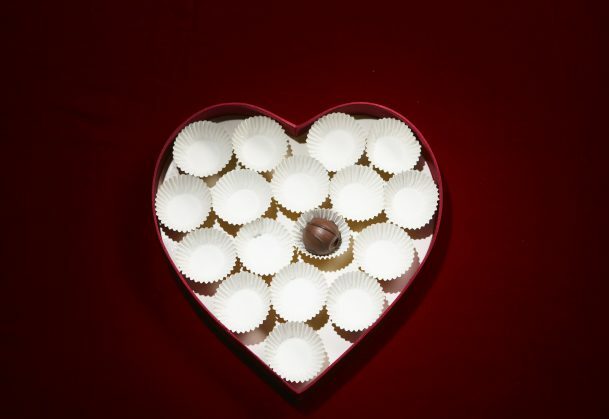 Among those who ate only “next” chocolates, the last was chosen 22% of the time—statistically speaking, a chance occurrence. And the “last” group also rated the whole experience as more enjoyable than “nexts” did. The findings of what O’Brien humbly calls “our little chocolate test” could have serious implications. Professors marking the last exam may give it the best grade even if it’s not objectively better than the preceding ones. Employers may be inclined to hire the last-interviewed job applicant. Awareness of this bias could make such subjective judgments fairer. Of course, endings don’t bring up only positive emotions, O’Brien notes. Often there’s also sadness about loss—that bittersweet feeling. If its bittersweet chocolate and the last one you think you’ll eat, however, chances are the taste will be sweet.